What a rarity. 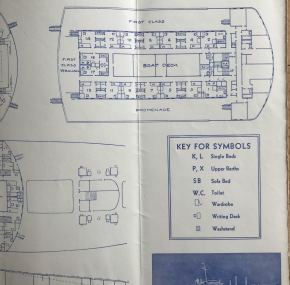 A first- and second-class deck plan for the ms Stockholm. She’s listed as “new,” and it is dated December, 1947. 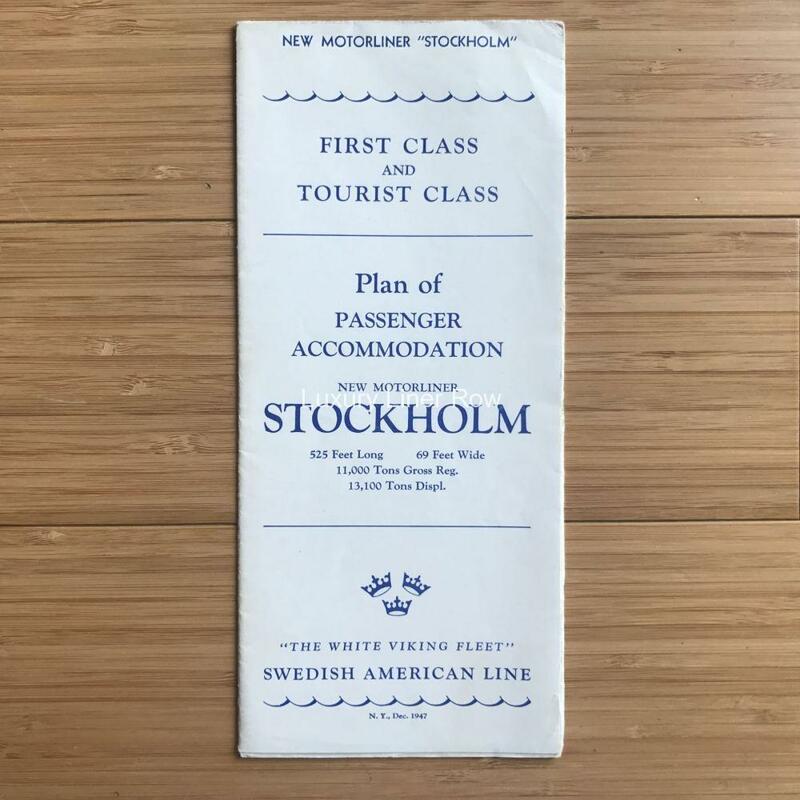 Stockholm was justifiably the pride of the famous Swedish American Line. 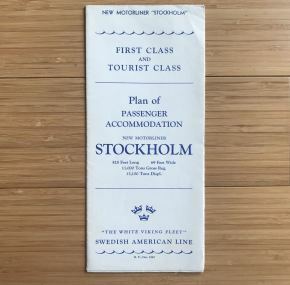 Items for the Stockholm are very difficult to come by, and I’ve never had another of these. In very good condition save for one 2″ tear at the edge of a seam. 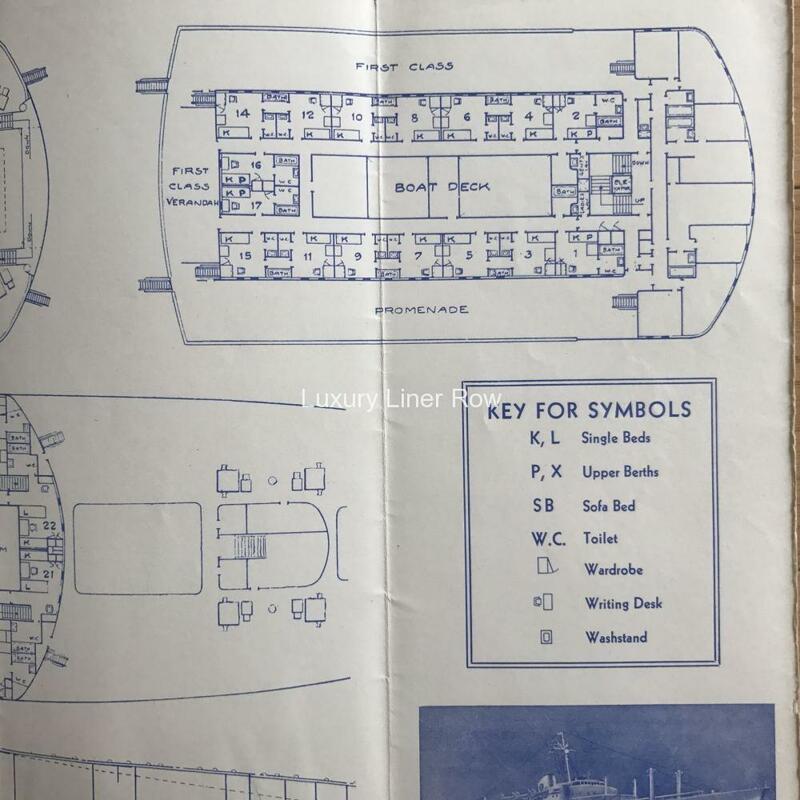 As you all know the story, I will only mention her interaction with the Andrea Doria here for search engine purposes! It’s amazing that she is still in service as the Astoria. She has gone through a lot of names, but among the most famous is the Völkerfreundschaft when she sailed for East Germany.